Content. It’s the heart and soul of any strong inbound marketing campaign. Think about it – without content, what would you be promoting on social media? How would you be engaging with your audience? How could you convince them that you know what you’re doing and that they should trust you? How would search engines know that your website is alive and kicking? Content matters, and the better it is, the better your business will perform on the inbound playing field. According to data, consumers want to see more social media posts, news articles, and videos from marketers in the future. Creating content can be expensive, though – it costs time, money, and effort to produce something interesting and valuable for your audience. But, there may be a way around that. Sounds a little like cheating, doesn’t it? Sounds a little too easy. In fact, there are several benefits to revisiting your past content offers – for you and for the consumer. Allows you to update any obsolete information. We all know how quickly things can change in the world of digital marketing. One algorithm update can affect your entire online strategy, so it’s important to keep up with the times. An older post that attracts a lot of organic traffic may be doing more harm than good if the tips, strategies, and insights are out-of-date – which doesn’t exactly make for a valuable resource. 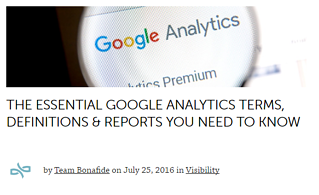 Better search engine visibility. Older posts on popular topics tend to slip in the rankings over time. While they can be supported for a while by building up a significant amount of organic clout, their search engine rankings are constantly threatened by newer content offers. By updating an older post (and its publish date), you can reap the benefits of both a newer and more seasoned post. Furthermore, by regularly posting to your website or blog, you’re reminding search engines that your site is active and current. Since 66% of marketers say improving SEO is their top inbound priority, this could come in handy. Re-engages your email list. If you’ve built up a solid email list, you want to leverage that as best you can. When you republish or repurpose content, you have a great reason to reach out to your email list. Chances are they’ve already read and liked your past content, so there’s a good chance they’ll endorse the revamped version. Take a look at some of your older content. It’s good stuff! But some of the information in there may not be accurate anymore. Or maybe it’s good and accurate – but it’s not your best work. No worries. You can fix this. 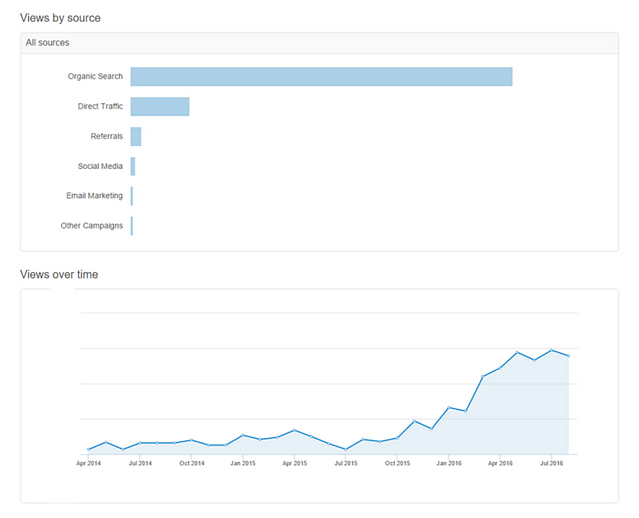 On the Bonafide blog, we had a couple of posts from a few years back that were consistently bringing in organic search traffic. When we looked at them, they weren’t anything special, and they definitely weren’t the same caliber of posts we've recently been publishing. Because so many people were coming to our website from these posts, we wanted them to be a better representation of our company today. So, we rewrote, redesigned, and republished them. The process was simple enough. We edited the original post directly in the HubSpot blog portal and updated the publish date. When the post republished, notifications were automatically sent out to our email list, and we promoted the posts as normal. The results? The posts continue to do exceedingly well organically and consistently bring new traffic to our website. The view counts have skyrocketed. The information is current, valuable, and searchable, and the best part? They’re posts we can be proud of and our reputation is intact. Sometimes you don’t even need to rewrite something. 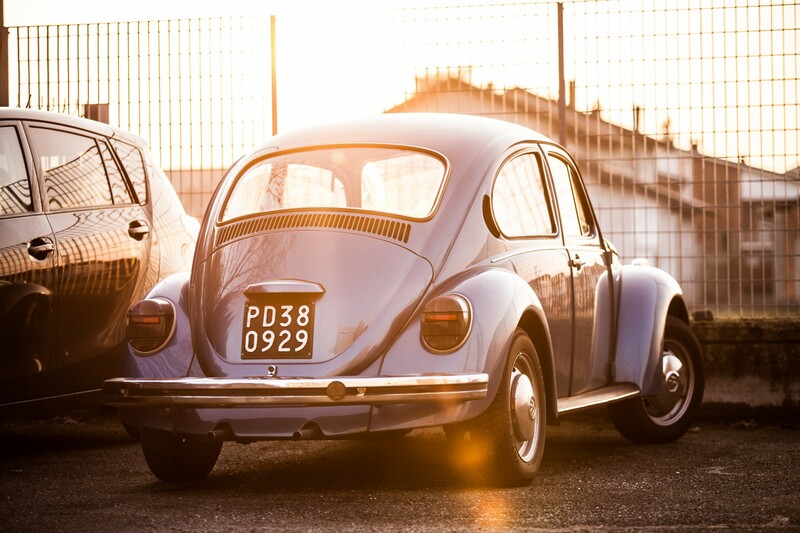 It can be as simple as redesigning and repackaging an existing content offer as something new. Longer blog posts can easily be transitioned into ebooks. We had a ~4,000-word blog post that we decided was a little too dense and too long to keep in that format, so instead, we opted to design it as an ebook. The content – the hardest part – was already done! It was just a matter of how we wanted to present it to people. 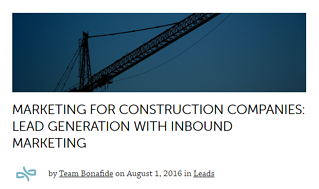 And so, the Inbound Lead Generation Framework was born. eBooks are great ways to build up an email list for your business. In exchange for an email address, consumers get a wealth of information – not a bad deal. Also, depending on the content offer and your marketing strategy, you could consider monetizing your ebooks and offering them to consumers for a price. Alternatively, you can create several blog posts from one ebook. You’ve already got the long-form content – now you can break it up to make it more easily digestible. For example, you can publish a chapter or section of your ebook as a blog post, with CTAs to the ebook inserted within the post. When you promote the blog post, you’re also promoting the ebook. If all goes as planned, you’ll amp up engagement on your site while building up your email list. All good things for business. It’s no secret that video marketing is where it’s at, now - 45% of people watch more than an hour of Facebook or YouTube videos a week. How can you leverage your existing content to drive your video marketing strategy? You can create video companions for popular blog posts. Break up the content you’ve already written into a series of short video snippets, or perhaps make one long video discussing the entirety of the post – whatever works best for your audience. Videos are useful in driving engagement and keeping your audience interested in what you have to say. A lot of people won’t read your 2,000-word blog post, but they’ll listen to you speak for a few minutes. You can also improve your SEO rankings by expanding to different media and platforms. 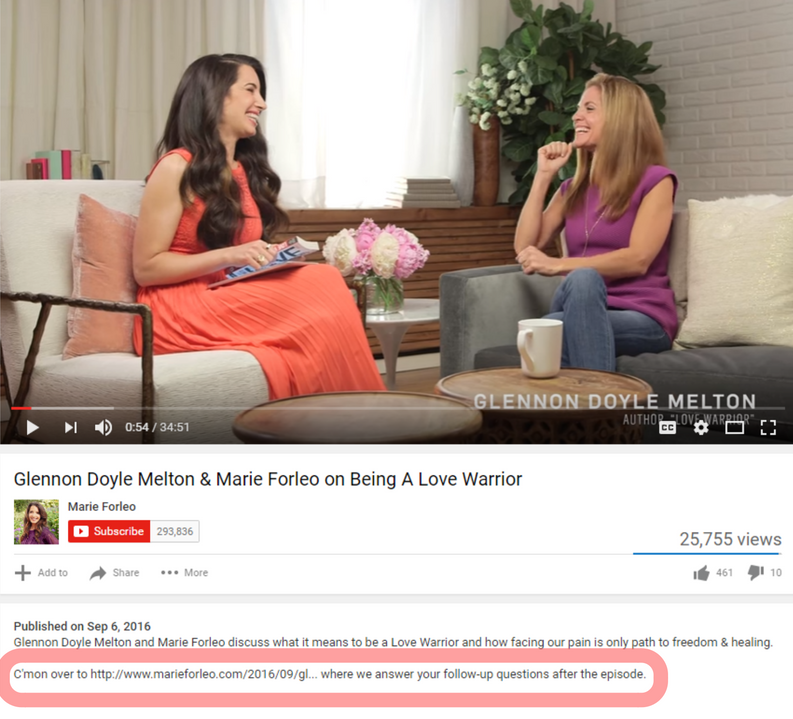 And of course, you can cross-promote your video and written content, leading visitors from one platform to another, like Marie Forleo does. What’s a hubpage? It’s basically a landing page on your website that has links to related content you’ve already created. Do you have a few ebooks you’ve created? Link to all of them on your ebook library hubpage. Do you have a bunch of blog posts about PPC marketing? Gather them all up on your PPC marketing hubpage. Then, offer access to the hubpage through whatever promotion methods work well for you. You can keep it gated or unlocked – again, it’s up to you. Either way, you’re creating a new page on your website, promoting it, and from there, people are clicking to other pages on your website. You get the engagement and lower bounce rates – they get the content. As is so often the case with inbound marketing, it’s a win-win situation for everyone involved. The consumers get valuable and timely information, and you get to engage with your audience and build your reputation as a trusted source and business. Speaking of valuable and timely information, make sure you’re caught up on the latest in the inbound stratosphere before embarking on any new marketing endeavors. Check out the latest State of Inbound report.